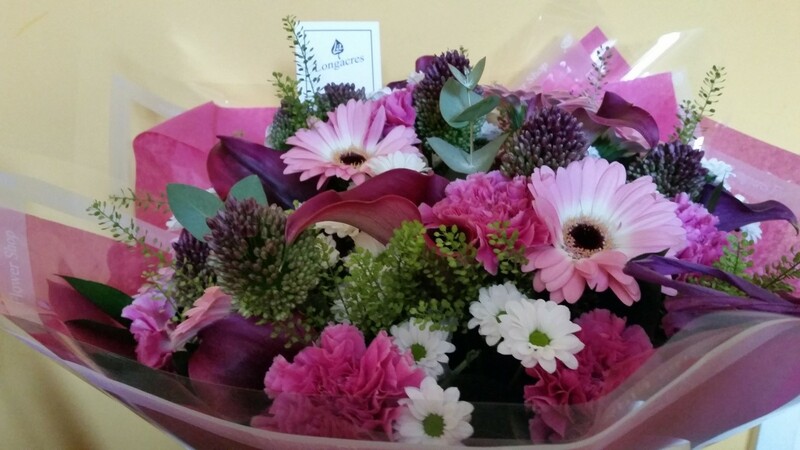 Here at Longacres we know that flowers are an important part of many peoples' lives (certainly ours!). They are used to mark a range of occasions, from births to funerals. 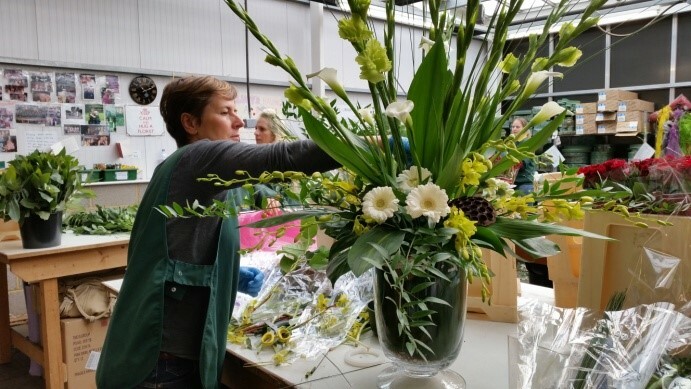 But did you know that we also provide flowers for weddings, corporate events, hospitals, schools, elderly care homes, offices and vehicle showrooms? 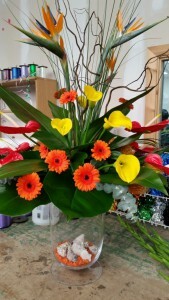 In fact, our Corporate Flower Service provides a range of wonderful displays tailored to your business. Whether you are looking for fresh flowers every week or an artificial display every quarter, our knowledgeable staff can provide an arrangement appropriate to your needs. 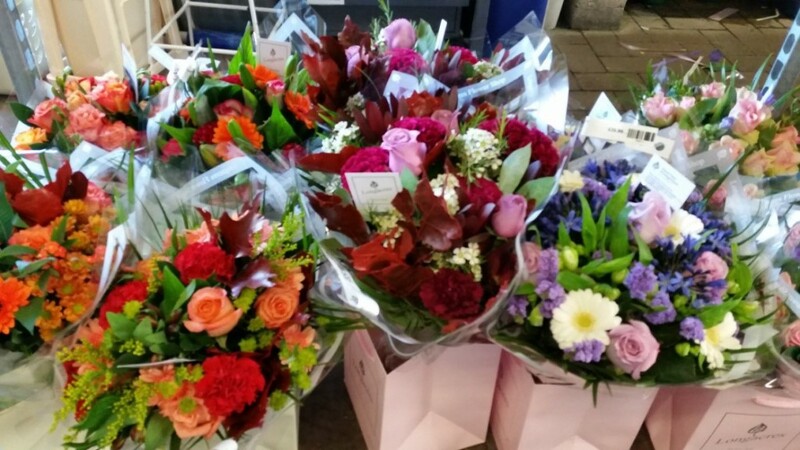 Our lovely team of florists also provide a range of hand-tied bouquets starting from as little as £19.99, and will do their best to meet any specific requirements you may have. Perhaps you prefer to have a little mystery in your life and receive our bouquet of the month; each bouquet is a wonderful seasonal arrangement guaranteed to brighten up your home for only £30. They even come with a free glass vase! Of course, if you enjoy flowers in your home on a regular basis, you might like to consider taking out one of our fresh flower subscriptions. These are available for 3, 6 or 12 months. You can even choose the date that you would like your flowers delivered. Of course, you may decide to use your subscription as a special gift for a friend or loved one instead. There really is something special about the smell of fresh flowers around the home isn't there? We have a wide range of fresh cut flowers available daily in our specially chilled room so you can come in and select your favourites. We even have a range of great value offers on at the moment including 'Buy 2 Bunches of Germini/Short Stem Roses/Sunflowers and Get Your 3rd Bunch Free'. We know that spending a little time arranging your flowers can be quite relaxing, but if you want some extra help our florists will be more than happy to make your chosen blooms into a special gift. For only £5 extra (and a 15 minute wait - just enough time to collect some yummy cakes from the bakery section right next to Cut Flowers!) they can add foliage and wrap your blooms in cellophane (complete with a 'water bum' (aqua pack) so you don't have to worry about them starting to wilt). You can also add a gift box for just £1.50. So for ALL of your floristry requirements, whether large or small, corporate or personal, please give us a call on 01276 476778 and speak to a member of our friendly team.